Throughout the year we have regular Special Events marking occasions such as Mothers’ Day, Christmas, Easter. There is an Annual Remembrance Day Mass, a Christmas and Summer Fayre, and a number of Ecumenical Events with our neighbouring Church of Scotland and St Matthew’s Episcopal Church - e.g the annual Seder Meal, Lent and Advent Services, and the Service for all those in any way affected by cancer ……. on Balmore Road at 6pm. All welcome. LENT: As the 40 days of Lent approach, we will be distributing the usual SCIAF “wee boxes” for your spare coins, and some materials from SCIAF outlining their work. ASH WEDNESDAY: This falls on Wednesday 6th March and marks the beginning of the Lenten period. Ashes will be distributed at the 10 am Mass and again at an evening Mass at 7pm. SCIAF SUNDAY: This falls on the fourth Sunday of Lent (31st March) and our second collection on that day is for the work of SCIAF. MOTHERS’ DAY: 31st March The fourth Sunday of Lent is also MOTHERS’ DAY and to mark it, the children will play a big part in the liturgy of the Mass, present all the ladies with some flowers and invite them to enjoy a cup of tea and a piece of Mothers’ Day cake in the hall after Mass. Our local minister, Rev Linda Pollock, Fr David from St Matthew’s Episcopal Church and Canon Hendry. from St Teresa’s will lead the service. Tuesday 16th: Our annual SEDER MEAL when we join with our neighbouring churches to recall the events of the Passover by celebrating a typical Seder Meal. This will be followed by Supper featuring Fr Hendry’s special roast lamb. Tickets cost £5 and are available from the stall in the church. At 10 am we have Morning Prayer of the Church. At 11 am the Mass of Chrism takes place in the Cathedral and all are welcome to attend. At this Mass, the holy oils used in the administration of the Sacraments will be blessed and the priests of the archdiocese will renew their commitment to the Archbishop and to the diocese. 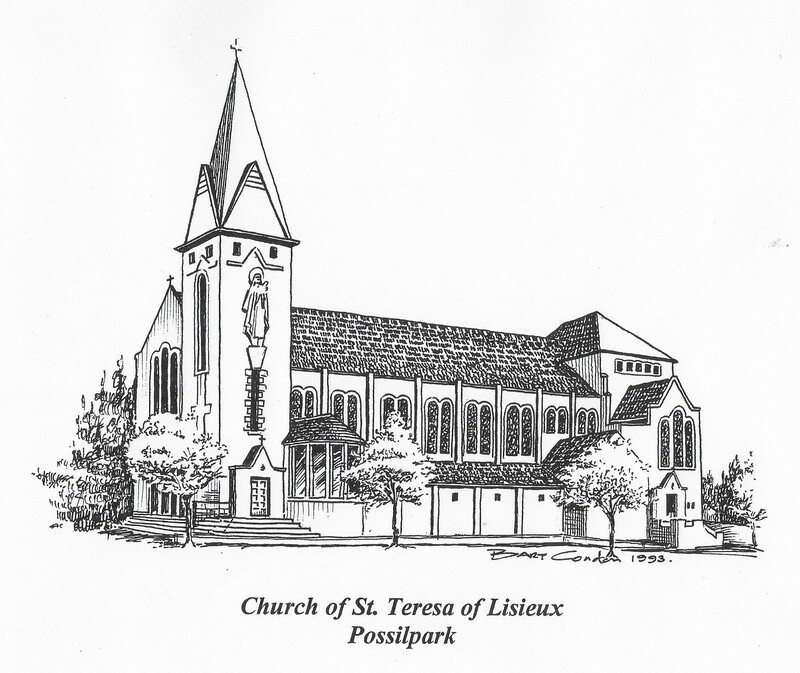 At 7pm, we have our parish Mass of the Lord’s Supper in St Teresa’s. At 10am we again have our Morning Prayer of the Church and then at 12 noon, Possilpark Churches Together join in a WALK OF WITNESS, carrying the cross and gathering at Saracen Cross for a brief service. Then at 3pm we have THE PASSION OF THE LORD in the church, with the traditional Kissing of the Cross. The church will remain open from 5pm to 7pm for private veneration of the Cross. Sunday 21st April: We celebrate EASTER SUNDAY with Mass at 10.30 am. We take this opportunity to wish all our parishioners and all who visit our website a blessed and happy Easter!